Are you struggling with Facebook? Do you want to become a Facebook marketing pro and grow your business? Are you struggling to understand the ‘algorithm’ and how to best target your ideal customers? Let me teach you how to effectively manage your business Facebook page and run Facebook advertising campaigns for success. 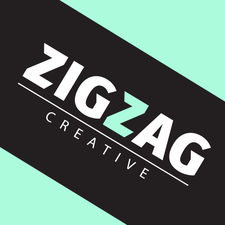 Zigzag Creative is holding 2 x 3 hour workshops in Christchurch in late February. Learn in a small group workshop and leave with a plan of attack for your Facebook marketing and a clear understanding of how to create results! These workshops were created after holding a number of one-on-one Facebook Marketing consultations with clients wanting to learn how to manage their own Facebook pages. I discovered that my clients all had the same questions and frustrations with Facebook marketing and Business Manager. Many of them also wanted to run Facebook ads but were daunted by all the options available and had already wasted money on ads that just didn’t work. Learn how to grow your following and create killer content. You will create a content plan and leave brimming with ideas on how to better manage your Facebook business page. Learn how to run your own successful Facebook ad campaigns. Create a Facebook advertising campaign, set up multiple audiences and have a strategic plan of attack for future campaigns. Each workshop is $125 + GST, or sign up for both and only pay $200 + GST.